She thought she knew the truth, because she was an eyewitness; but as Amy grows up, she finds out there is more to the truth than what she can see with her own eyes. Her childhood is full of violence, jealousy, and hatred. As she puts the pieces together, Amy learns that in the world of men and women, the truth is ever changing, but God's truth remains the same. She breaks the cycle of abuse when she meets the man God intended for her to marry. 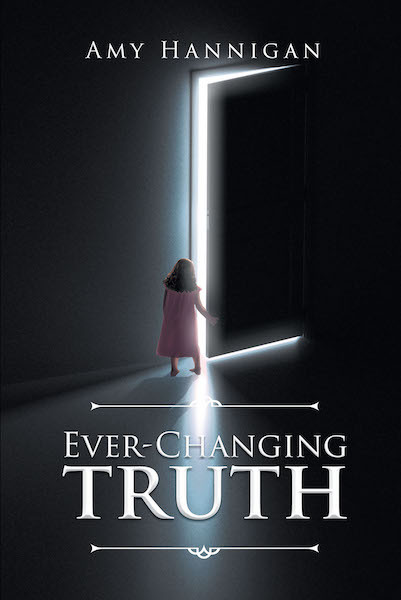 In Ever-Changing Truth, she takes us on a journey to understand how abuse begins and how it can end. She helps us to understand how being bullied and having a lack of self-confidence are some of the factors that can lead girls into unhealthy relationships. Amy's childhood is nothing short of a horror movie; but she finds peace, comfort, and truth in Jesus Christ at an early age. Her account is an inspiring story of faith, determination, and lessons learned from difficult times.